Brooklyn, New York – March 19 – Novruz Bayrami Celebration Party in New York Hosted by Azerbaijani- American Women Association of New York and Azerbaijan House in New York. Edmonton, Canada – March 19 – Azerbaijani Novruz Bayrami Celebration Party. Azerbaijan Cultural Society of Edmonton (AzCSE) and Azerbaijani Cultural Student Association of U of A (AzCSA) will host another memorable Azerbaijani Novruz Bayrami Celebration to welcome Spring on March 19, 2016. San Jose, California – March 20 – Novruz Concert in California. Sunday, March 20th at 5pm, a great concert is planned to celebrate the beginning of Spring. First U.S.-Azerbaijan Banking & Finance Forum, organized by the United States-Azerbaijan Chamber of Commerce (USACC) and powered by the International Bank of Azerbaijan and PASHA Bank. 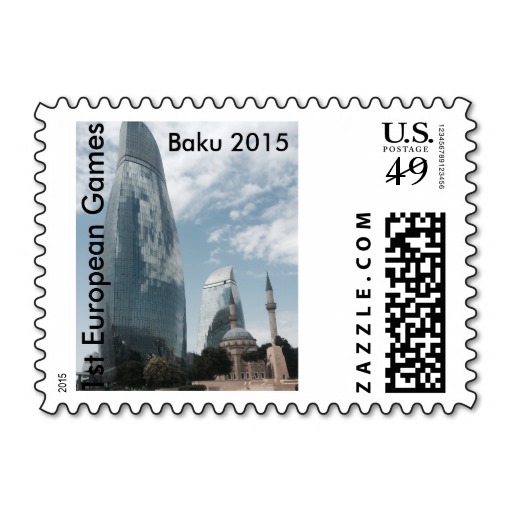 For more information please visit United Sates-Azerbaijan Chamber of Commerce website. The Azerbaijan Center with WorldFest Houston International Film Festival along with Houston-Baku Sister City Association, the Azerbaijan Embassy in Washington DC and Azerbaijan Film Studio in Baku, Azerbaijan to present Asif Rustamov’s new film DOWN THE RIVER. AMC Studio 30 – 2949 Dunvale St.
On March 21st at Hilton Orange County in Costa Mesa, CA. This will be a night of authentic Azerbaijani food and music. On Friday, March 20th, Azerbaijani Dance Class in Toronto invites you to join us in celebrating our Novruz New Year with a night of rich multicultural performances. Living legend Zeynab Khanlarova presents a new program “Xosh Gorduk Ezizlerim”. Hosted by Prince Alwaleed Bin Tala Islamic Studies Program at Harvard University. 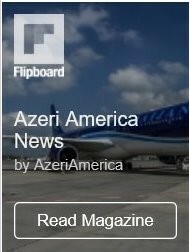 For more information please visit Azerbaijan New York Association website. Please visit Azerbaijani Student Association at the University of Waterloo facebook pages for more information regarding this event. Stanford Cultural Interactions Club and Azerbaijani students at Stanford would like to invite you to come see a presentation, documentary and photo exhibition about Azerbaijan. The main goal of the event is to present uniqueness and independence experience of Azerbaijan as a Post-Soviet nation after the end of Cold War. During the event, various publications and visual materials will be exhibited to help attendees have a better understanding of the fundamental facts regarding the contemporary history of Azerbaijan after the collapse of the Soviet Union. Featuring a cartoon art exhibition and Azerbaijani Music Concert. 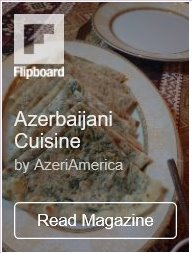 Azerbaijan American Women Association of New York celebrating New Years and International Solidarity Day of Azerbaijanis at Azerbaijan Restaurant on December 31st, 2014 at 9 PM Azerbaıjan Restaurant.2612 East 14Th Street Brooklyn. NY 11235. Celebrating the longest and the darkest night of the year, the winter solstice!